Aiteo Cup holders Rivers Angels have successfully defended their title after overcoming an ordinary Ibom Angels side at the Samson Siasia Stadium in Yenogoa. A Juliet Ibrahim strike in the 47th minute was sufficient to consign Ibom Angels to a second successive final defeat while Rivers Angels secured a third consecutive title and a record-extending eighth overall. In what was a repeat of last year’s final in Jos, both sides failed to match the excitement generated by pre-match festivities in what was a largely unremarkable affair witnessed by the Governor of the State Seriake Dickson. Ibom Angels thought they had taken the lead when Emem Essien put the ball in the net in the 36th minute but it was ruled out for offside and both sides went in level at halftime. 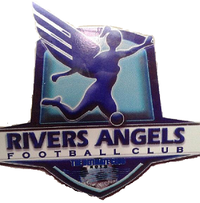 Rivers Angels have been extraordinarily successful in the Cup and when Ibrahim struck in the 47th minute the outcome was never in doubt.